AUTHOR’S NOTE: This is an opinion piece written in support of Amendment 4 and published in the September 10-16 issue of the Jacksonville Business Journal. The opposing opinion piece against Amendment 4 was written by The Honorable John Peyton, Mayor of the City of Jacksonville, Florida. Why are You for Amendment 4? The way we have planned and managed growth in Florida since the adoption of the 1985 Growth Management Act has failed. It has led to an unsustainable, energy-inefficient, suburban sprawl nightmare built on over-inflated property values. It has led to our real estate market being Ground Zero for a global recession. It has led to widespread unemployment, massive home devaluation, and record levels of foreclosures and bankruptcies. It has led to the worst economic downturn in our country since the Great Depression. Approval of Amendment 4 is an opportunity to change the dynamics of how we grow in Florida for the better and to make smarter decisions about growth in the future. Why do you think the arguments that opponents have to the Amendment regarding unintended consequences are false? Florida Hometown Democracy was never going to achieve what its supporters originally intended; namely, to stop growth. 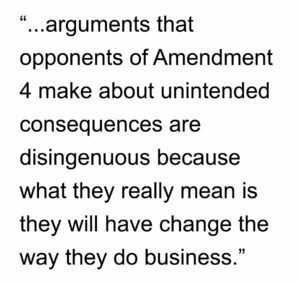 However, the arguments that opponents of Amendment 4 make about unintended consequences are disingenuous because what they really mean is they will have change the way they do business. But it is ‘business as usual’ that is the problem. Approval of Amendment 4 will lead to businesses making better and smarter decisions about what land is best to develop rather than what is the cheapest land to purchase. The most crucial calculations about a development are made long before it enters the regulatory process and approval of Amendment 4 will alter those calculations. How do you think growth will evolve after the amendment? Approval of Amendment 4 will promote the potential of already-entitled urban land, in-fill development, and reclamation of brownfield properties. It will also benefit traditional urban cores like Downtown Jacksonville. It will place greater demand on the design skills of planners, architects, and urban designers because property owners and developers will want to maximize profit in the horizontal and vertical dimension of their projects. Over time, this will lead to development patterns that make public transit alternatives (such a trolleys and rail) more economically viable for cities like Jacksonville. What would its failure mean? Failure to approve Amendment 4 will mean more of the same. Our real estate market, our properties, and our homes will remain trapped in a cycle of ‘boom and bust’. More importantly, the solution opponents of Amendment 4 are offering is ‘more of the same’. They are poised, even eager, to make the same mistakes all over again because that is “how we’ve always done it”. But ‘more of the same’ is not a solution. Voting YES for Amendment 4 this November 2nd is a step in the right direction for a better Florida. Mark David Major, AICP is the immediate past chair of the First Coast Section of the Florida Chapter of the American Planning Association. AUTHOR’S NOTE: This is the extended version of an article that originally appeared in the Summer 2010 issue of Florida Planning, the quarterly newsletter of the Florida Chapter of the American Planning Association, the March-April 2010 issue of First Coast Planner, the bi-monthly newsletter of the First Coast Chapter of APA Florida, and the May 25-31 Backpage Editorial of Folio Weekly in Jacksonville, Florida. I will be supporting Amendment 4 this November. I have arrived at this decision after much contemplation about what it might mean for this state and my profession, after hearing from and reading what others have to say, and after debating and discussing with friends and colleagues what it might mean for them and their families, their neighborhoods and cities, their businesses and employers, and their careers. Literally, this decision was years in the making. I have decided to support Amendment 4 despite my reservations. What are they? First, I am a strong believer in the republican principles of government established by our Founding Fathers; that is, republican with a small ‘r’. Popular referenda are tools of popular democracy, what Thomas Jefferson considered little better than mob rule. And as John Adams said, “Mobs will never do to govern states or command armies.” Second, spending mandates approved by popular referenda in the State of California have clearly been a disaster, bringing that state to the brink of bankruptcy. Increased use of popular referenda in Florida carries the same risk. So, it is my position popular referenda should not be used to establish public policy. By definition, this should lead me to be against Amendment 4 on principle alone. But I will be supporting Amendment 4 this November. Why? 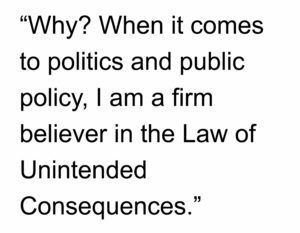 When it comes to politics and public policy, I am a firm believer in the Law of Unintended Consequences. Approval of Amendment 4 will essentially ‘freeze’ the Future Land Use Map in our local comprehensive plans (absent the periodic evaluation, appraisal and review process). Only landowners/developers will very deep pockets will pursue a voter-approved FLUM Amendment process, and they will only do so for large projects where the benefits are self-evident even to the most fickle of voters. This will impose “de facto” urban growth boundaries on our settlements. 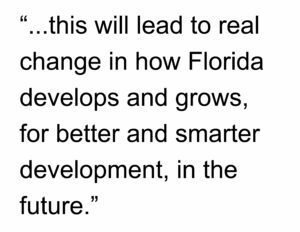 Since I moved to Florida in 2002, I have advocated the adoption of urban growth boundaries as a powerful tool to better manage growth in the state. The typical response from elected officials and public sector planners has been a raised eyebrow. 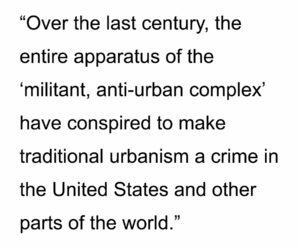 Once, an elected official even reacted of my advocacy of urban growth boundaries as “communistic”, which is ironic since I was once accused of being a “fascist” planner in Europe during the 1990s. 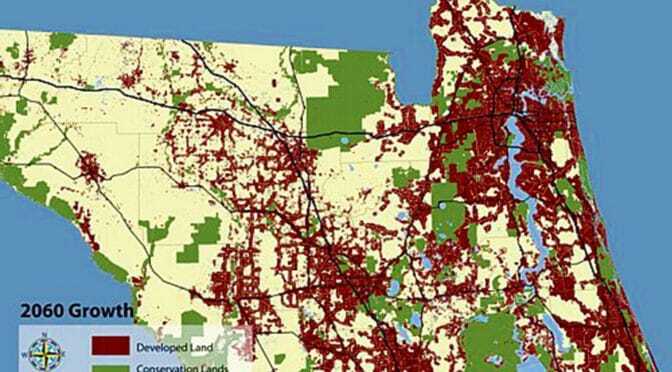 Urban growth boundaries can be used to direct growth away from typical post-WII suburban sprawl, greenfield developments to instead promote: brownfield development, historic rehabilitation, urban redevelopment, adaptive re-use of building stock and traditional neighborhood development; increased densities to support mixed-use communities and consolidate vehicular trips; the viability of alternative modes of transport (walking, biking, street cars, bus, rail, etc. ); and, the preservation of rural lands. Voting YES on Amendment 4 with serendipitously thrust one of the most powerful tools for growth management into the laps of our public planning agencies (thank you very much). The fact is most of our elected leaders do not have the political courage to adopt this tool. Consequently, many of our public planners fail to advocate when it counts the benefits of urban growth boundaries as a growth management tool. Voting YES on Amendment 4 will make urban growth boundaries a fact. 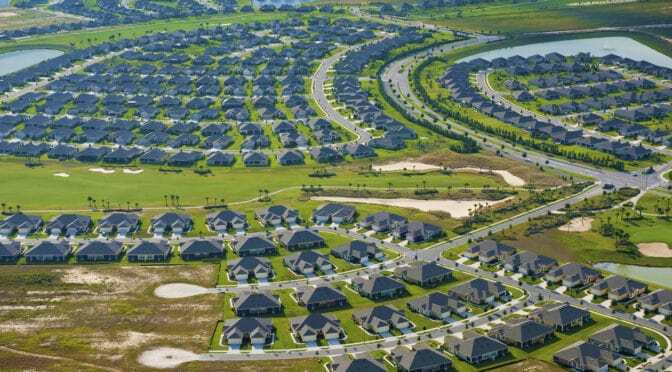 The anti-growth, leftist origins of Florida Hometown Democracy as NIMBYism writ large cannot be doubted. The initiative emerged out of Sierra Club radical environmentalism and a leftist billionaire bankrolled its ballot petition drive. Florida Hometown Democracy is a creature of the left. This drives an almost irrational fear in this state, which historically has leaned to the political center-right (especially in central/north Florida). But I am not afraid. Much like Dr. Frankenstein, this creature will not do what its creators hope. It will not stop growth. The drawn-out, half-decade process to get the initiative on the ballot and begin electioneering (with an additional year after approval before implementation, pending legal challenges) provided ample time to redress flaws in local comprehensive plans. Given these circumstances, voting YES on Amendment 4 will only serve to redirect growth away from greenfields (requiring a FLUM Amendment) to lands already entitled under the comprehensive plan. This will promote the more sustainable models of development previously mentioned. If a local municipality has not adequately prepared their comprehensive plan, then they might expect a negative impact on economic development sooner rather than later (absent going back to the voters) but they will have only themselves to blame. There was ample warning. Voting YES on Amendment 4 will promote Smart Growth planning principles since it will redirect development (with higher densities to maximize profits) to areas where utilities/public services are already available. The end result will be more cost- and energy-efficient settlement forms, and reallocation of resources from ever-outward expansion of utilities/services to instead maintenance/upgrading of established systems. Over the long-term, in real terms, it should lead to lower utility and property tax bills in the State of Florida. After the Great Recession, few seem aware of the delicious irony surrounding the debate over Amendment 4. Its proponents are trying to stop growth already stopped while its opponents want to protect growth already dead (and, for which many of them are culpable). However, growth will return. The question is: what kind of growth will it be? Evidence is abundant the necessary lessons of the Great Recession have not been learnt, namely “big risk, over leveraged, easy money” business models are fatally flawed. Even more troubling, our business and political leaders (and those in Washington and on Wall Street) seemed poised, even eager, to make the same mistakes all over again (see Einstein’s definition of insanity). 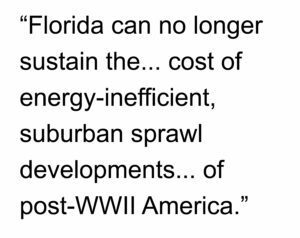 However, Florida can no longer sustain the personal or public cost of energy-inefficient, suburban sprawl developments so characteristic of post-WWII America (and especially here). The business and planning models of our real estate industry are dinosaurs and need to evolve lest they become extinct. 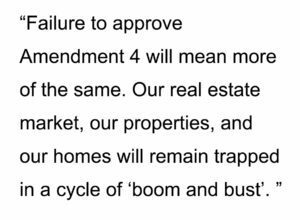 Voting YES on Amendment 4 will force the real estate industry to think outside of the “easy money, lazy thinking” box it has been trapped for the last 30 years. Americans are incredibly clever and creative innovators when they decide to be (especially when it comes to business and profit). Voting YES on Amendment 4 will firmly set the brightest minds of our business and political leadership to the task of innovating the real estate industry for a more sustainable future. Personally, I find this to be a very exciting challenge. 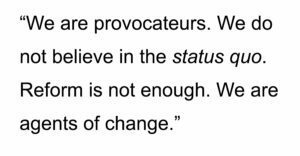 The alternative is founded on fear of the unknown and the conceit we are forever trapped in the bubble cycle of ‘boom and bust’. I don’t believe it. The conventional wisdom is approval of Amendment 4 will devastate the planning profession (especially public planning agencies). In my experience, the most predictable thing about conventional wisdom is how often it is wrong. I believe approval of Amendment 4 will lead to increased demand for planning expertise from top-to-bottom throughout the real estate industry (including our public planning agencies). The nature of this demand will change from regulatory planning of the “meet the minimum requirements” variety to expertise on physical planning and design in order to maximize profit in the horizontal and vertical dimension of developments. Approval of Amendment 4 will increase use of Planned Unit Developments as developers seek to tailor zoning/design requirements to maximize profit margins on entitled urban land. The focus of public planning agencies will shift away from processing paper to physical planning, especially since land development regulations/review will have to be more robust, flexible and nuanced. This will expedite the shift over the last 30 years in the planning profession from a social science focus to its proper place as the art and science of physical design. Few landowners will pursue a comprehensive plan amendment process that is subject to voter approval. When they rarely do, they will be forced to go BIG (think Development of Regional Impact on steroids) so the multitude of benefits is an obvious ‘slam-dunk’ for the voters. The normal EAR process will be invigorated as land owners/developers invest more in planning services to justify expansion of the de facto ‘growth boundary’ established by Florida Hometown Democracy. The political and professional debate over future growth of communities will be similarly invigorated. The Rural Land Stewardship program will have to be revisited, innovated and expanded. Transfer of Development Rights (TDRs) will become a more effective means to short-term profit for landowners of large, greenfield lands to realize the value of their property. 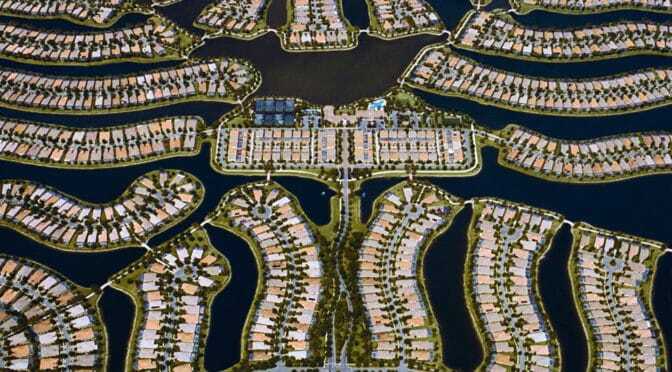 And, most importantly, draconian environmental protection requirements that perversely promote suburban sprawl in Florida will have to be revisited, refined and relaxed by our political leadership to become more nuanced. Voting YES on Amendment 4 will be a boom to the planning profession. Instead of fearing Florida Hometown Democracy, planners should embrace the tremendous opportunities for innovation and creativity it will unleash in our profession. 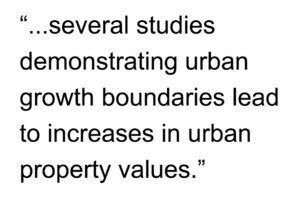 There are several studies demonstrating urban growth boundaries lead to increases in urban property values. Most recently, I am aware of such a study with similar findings produced by Florida State University. With Florida Hometown Democracy operating as a “de facto” urban growth boundary, a sustainable climb in urban property values will result. For rural, greenfield lands not entitled under local comprehensive plans, the land value should remain stable. The collapse of the residential/commercial real estate market in Florida during the Great Recession has already deflated land values so they have – more or less – bottomed out. This does mean property taxes on rural lands will remain low for their owners. And since Florida has a history of large, rural land ownership under the auspices of a single family or entity, any discernable deflation in rural land values will affect only a few rather than the many. Voting YES on Amendment 4 will be a boost for urban property owners, who represent the overwhelming majority of people in the state. Higher property values will also lead to increased tax revenues (without mileage hikes) for our local governments; stabilize and reignite the existing residential housing market in the state; and, reinvigorate access to credit as people’s home value rises. There are even more reasons to support Amendment 4 than I can articulate in this brief article. And I could easily go into greater detail about the reasons I have cited in this article to support Amendment 4. Also, I freely admit, I’m very fond of playing the role of the rebel in my profession and going against the grain to support Amendment 4 fulfills that inclination. But, ultimately, my decision to support Amendment 4 comes down to one fundamental truth. What we have done in post-WWII America has not worked and it will not work in the future. It has led us into an unsustainable suburban sprawl nightmare. It has led to a devastated residential and commercial real estate market. It has led to massive deflation of property values. It has led to rampant foreclosures and unemployment. It has led us into a seemingly bottomless pool of unimaginable debt. And it will lead us there again. The Great Recession has demonstrated beyond doubt our urban, more traditional neighborhoods are better suited to withstand market fluctuations in land values. The Great Recession has demonstrated beyond doubt how really worthless are the expanses of devalued suburban sprawl properties across this state. It’s time to chart a new course. Voting YES on Amendment 4 will set Florida down a new path, full of exciting opportunities and challenges, to creatively innovate our business models, our developments, our industry and our profession. I urge you to vote YES on Amendment 4. It will be a vote for the future rather than the past. Mark David Major is Immediate Past Chair of the First Coast APA, serving as Chair from 2005-2008. During this time, he also served on the APA Florida Executive Committee. He participated in adopting the Chapter’s position against Florida Hometown Democracy and support of Floridians for Smarter Growth; a coalition of public and private organizations advocating defeat of Amendment 4. Mark has lived in Florida for 8 years and worked as an urban planner in private consulting, local government and a Fortune 500 homebuilder.